▶ 10 Yard Dumpster Rentals - Best Prices In Miami, Fl GUARANTEED! 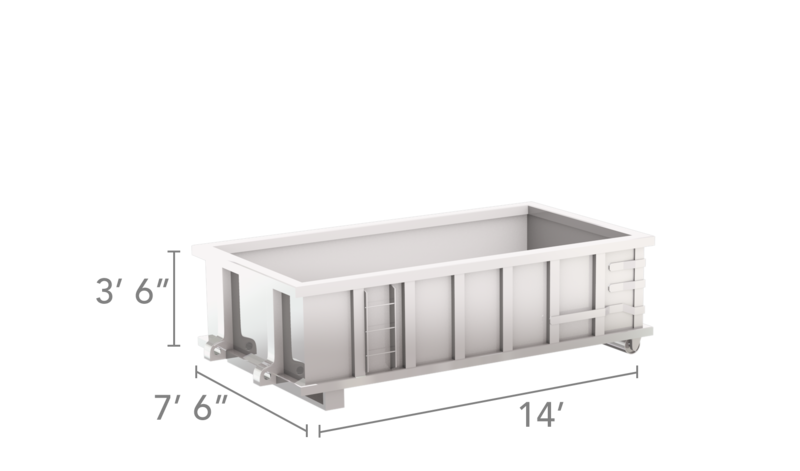 Capacity: A 10-yard dumpster can hold 10 cubic yards of material, or 4 pickup truck loads. Weight Limit: 10 yard dumpsters can generally hold 2 to 3 tons of material or between 4,000 and 6,000 pounds – please note that weight limits can vary by location. Other Key Attributes: A 10-yard dumpster is small enough to fit in nearly any driveway. Is A 10 Yard Dumpster The Right Dimension For Your Project? Attic, cellar and garage cleanouts. Need A 10 Yard Dumpster? Pro Tip: When comparing dumpster services, other providers may not include disposal costs in the quote for a 10 yard dumpster, so you won’t know the full price of your rental until your debris is weighed at the landfill. Always double check what’s included with a company’s rate. Make space: About 50 feet of space in length is needed in your driveway to drop off a dumpster. Make certain that there are no vehicles or any other obstructions that would prevent the truck from getting into the driveway. All clear: The truck will require a minimum of 14 to 18 feet of vertical clearance to elevate the dumpster and put it in your designated position. Make certain the delivery area is free of any low-hanging wires or tree branches. No need to wait: Dumpster deliveries are based upon the most fuel-efficient routes, so your dumpster can arrive at any time throughout the day. However, do not worry – you do not have to be there at the time of delivery. Do not forget: Once you have your 10 yard roll off dumpster, remember the weight limit and the debris restrictions that we told you about as you begin to load up the dumpster.